Away from the prying eyes of the lord’s greedy tax collectors and the church’s grasping functionaries, a large clearing had been made in the forest. “Are you sure about this, Herrick?” asked his son. His son did so, his knuckles white. Herrick took the bit between his teeth as the moon rose above the trees. As the light struck him, his body grew and shifted, painfully changing him from man to horse. Only his tight grip on the bit between his teeth kept him from screaming through the ordeal. Once he was fully horse, he began pulling the plow which cut an easy and deep furrow in the recently cleared ground. These items are of great age but clearly well cared for and mended, the harness is of leather and blackened iron while the plow is hardened oak with a iron share (blade). They often are of quite ancient design. Having moved to gain allies in an urban setting, our heroes were next summon for a more traditional venturers task: recovery. Summoned by the Shaper they are dispatched to an isolated valley to retrieve dragon egg shells. They are assured that no actual dragons will be present at the start of their mission. They arrive through a portal on a slope leading down into a lush jungle valley. They start to blaze a trail through the undergrowth which proves hard going off and on. Soon they come to a crystal clear stream winding its way through the valley with no obvious ford or bridge crossing it, though it is only about eight foot (2.5m) wide it is deep and quick flowing. Read the rest of this entry ? Military and militant corporations are a staple of cyberpunk futures (and actually exist, look at Academi formerly known as Blackwater). But they do not have to be the bad guy, they might just be useful employers and allies. Maybe you are having problems with pirates? Then you could hire a private navy like the Typhon company to provide one! It seems like there could be some good adventure in working for (or against) a company like Typhon. Extrapolating from current trends, you should be worried about the ever present surveillance state and very worried about closed circuit camera (CCTV), facial recognition software and drones? (And if you are not, you probably should be.) What about a privacy visor to counter facial recognition software? Or perhaps some anti-drone fashion to make life more difficult for those spies in the skies (more on stealth wear here)? Need a clever way to store data? How about on strands of DNA? How much information could be hidden in a cat? I will also link to my Cyberpunk board on Pinterest again, it is slowly growing as new pieces are found. “Hand me my case, Mister Mate,” said the ships Doctor, looking over the injured man. Fragments of splinted wood were embedded in the poor sailor’s side. The doctor tsked softly as she looked over the wounds, “Good thing I was on hand, he will not last much longer without help. She opened her case and began setting out tools. “Open the treated thread, it is in the blue tine there. Be care, try not to spill any of the liquid.” With a keen eye and deft hand, at best one could be on a rolling ship in any case, she set to work. 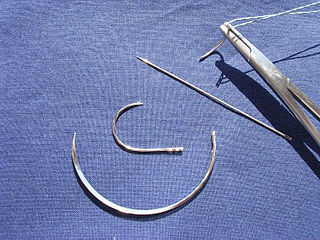 These needles are almost always made of metal, usually steel but occasionally mithril, with a slight curve to them. They are preternaturally sharp. “Again!” roared the hetman, wheeling his horse around for another charge. The rest of the cossacks, though still able to in any case, cheered and brought their mounts around. Their shashka flashing in the midday sun. Their lance having all been used or lost after the first charge. With a mighty shout, they urged their horses into another run at their enemies. These swords are sharp, single-edged and guard-less sword with a slight curve. The pommel is large and usually decorated. 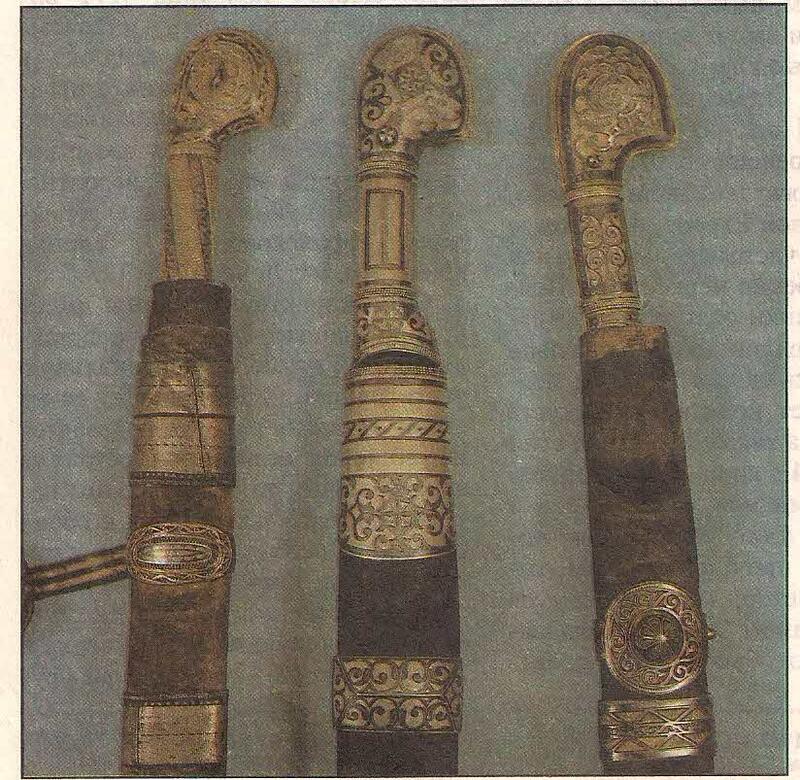 The scabbards for these swords are made from carved and decorated wood. I am playing in a Mutants & Masterminds game, low powered (PL8 for those who play) where the framework is we are playing characters from various points of time (ranging from the ancient world to 1982) who have been given special abilities, programmed with information on modern technology and the world and then returned to the present to do . . . something, information is hazy on that last point. We are newly back into time and on our first task working for a shady megacorporation that goes under the name of the Eschelon Organization. We are trying to track down a stolen piece of experimental technology that allowed two criminal to escape from a Federal holding cell in downtown Chicago (based loosely on real events) and we have been told that we are acting as corporate advisers to the FBI, specifically to Agent Charlotte Jones. We are time travelers from the past, given superpower and returned to the present to save the future. And then Agent Jones threw us out of her car. Now we need to find a new governmental Liaison. Niko disliked the weight of the stone, but the ability to keep warm without fire or smoke was worth it when you were watching someone and did not want them to know they were being watched. He set the bread and cheese on the stone to warm keeping an ear open for movement on behalf of his target. These rune-covered stones are drawn from a well-used hearth, often with ash embedded in the cracks and runes. You are currently browsing the Sea of Stars RPG Design Journal blog archives for January, 2013.